Hyundai Glovis Co., a logistics unit of South Korea’s Hyundai Motor Group, is looking to add the Trans-Siberian Railway (TSR) to its delivery route for knockdown parts from Busan in Korea to a Hyundai Motor factory in St. Petersburg, Russia. 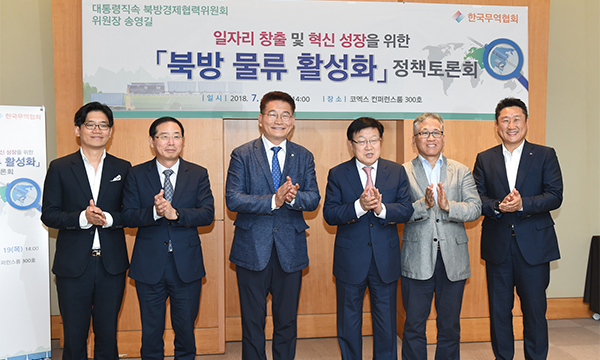 During a discussion on Korea’s logistics strategy organized by the Presidential Committee on Northern Economic Cooperation on Thursday, Koo Hyung-joon, head of Hyundai Glovis’ logistics business, said that the company is building a more stable delivery system with binary options of ocean ships and TSR trains. The initial cargo volume for Hyundai Motor’s Russian factory could be 5,200 TEU per year (one TEU equivalent to one 20-foot-long container unit). Hyundai Glovis is transporting some goods from Hyundai Mobis and Hyundai Steel via the TSR which connects European Russia with the country`s Far East, China, Mongolia and North Korea. Hyundai Motor operates an assembly plant in Shushary, Saint Petersburg, which was established in 2011. The company sees Russia as a strategically important market as it expands its global presence. Chung Eui-sun, Hyundai Motor Group`s vice chairman and heir apparent, led a team to tour the site last month. Using the TSR would save Hyundai Glovis a lot of money compared to using the current marine shipping alone from Busan to Moby Dik Terminal in St. Petersburg, which spans some 22,000km. The typical delivery time is about 43 days. But the addition of the TSR to this route will cut the distance to 10,600km and the time to 22 days. Total transportation costs will be down by about 25 percent, according to Hyundai Glovis.